The Occult Psaligraphy by Hagen von Tulien has been printed and the deluxe editions are in the process of being bound up. Many of the subscriber’s copies have been shipped and the remaining copies will be delivered upon completion in the bindery. This book was greatly delayed by the printers and we are very grateful for all you readers who have shown patience while waiting for the release of this book. With the late arrival of Occult Psaligraphy many readers are anticipating their copies in the mail. We are working hard to get all our orders out to clients and we humbly ask that you bear with us as we do our best to catch up. If you ordered books prior to August 15 your order will be shipped by September 1st if not before. Thank you for your patience, understanding and support. 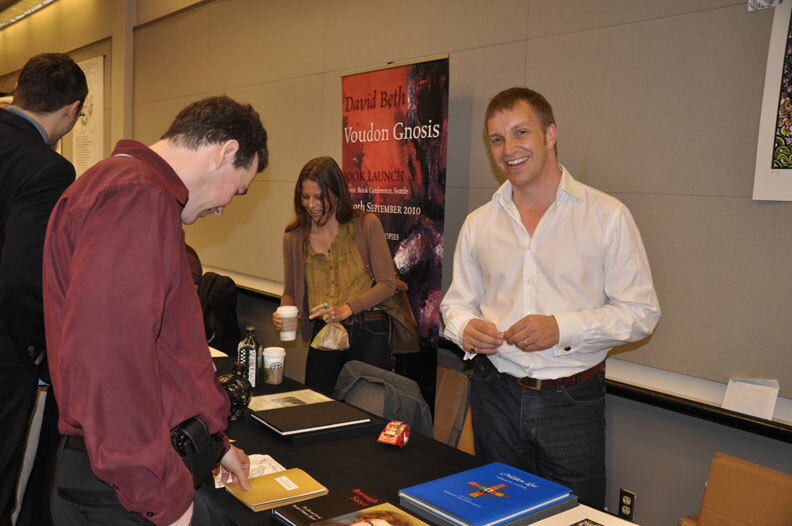 William Kiesel recently spoke at the Occult Humanities Conference at New York University. 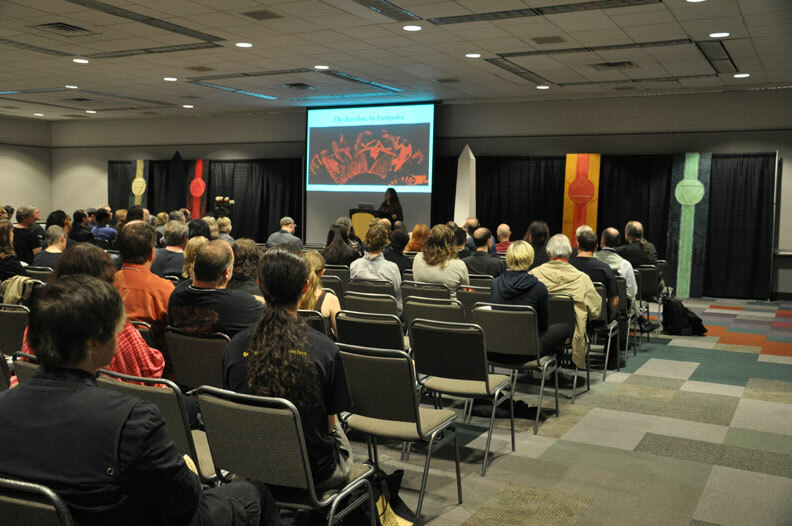 The conference was reviewed favorably by ARTFORUM. Click the photograph to read the review. This is a not to be missed event featuring presentations, an occult book fair and an esoteric art show. If you are in Seattle come down and check it out. 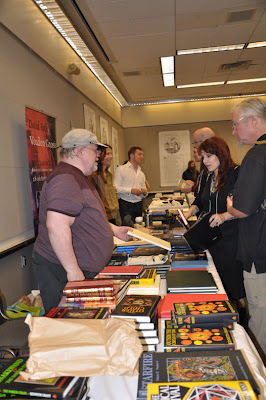 All email and orders sent to Ouroboros Press will be attended to after the conference beginning on September 19th. Ouroboros Press desires every discerning Bibliophile to know that a new book by contemporary artist and occultist Hagen Von Tulien is in preparation. Click on the image for more information. NOTE: This essay was written by our guest Greg Kaminsky the producer and host of the online podcast Occult of Personality. Greg has graciously allowed us to publish it here in conjunction with the Ouroboros Press release of the Rosicrucian Manifestos. A Comparative Study of Rosicrucian Tendencies within Johannes Kelpius’ Woman in the Wilderness Community and Johann Conrad Beissel’s Ephrata Cloister. German settlers Johannes Kelpius and Johann Conrad Beissel, leaders of semi-monastic religious communities in colonial Pennsylvania, are labeled as Rosicrucian by some researchers and yet this label is disputed by others; although neither claimed to be such, both their communities’ beliefs and practices shared a remarkable number of similarities with Rosicrucianism. It has never been a simple task to label any individual or group as Rosicrucian, yet it has been done in the case of Kelpius’ and Beissel’s communities, causing scholars to examine this question, often without the benefit of the corpus of research available today. There are several reasons why trying to connect an individual or group with the mythical Brotherhood of the Rosy Cross or later Rosicrucian inspired fraternities is a difficult proposition. 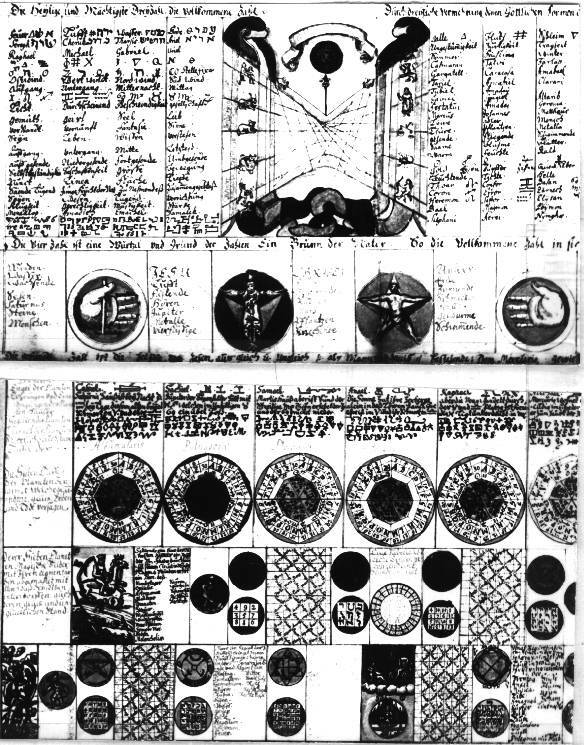 The foundational documents of the brotherhood, printed in early seventeenth century Germany and commonly referred to as the Fama Fraternitatis, the Confessio, and the Chemical Wedding of Christian Rosenkreutz, contain mystical and symbolica allegories which indicate that the brotherhood was an idea, not a group of men. So this fraternity was referred to as invisible because membership, let alone its actual existence, was based on myth. Regardless, these allegories, interpreted literally by some, created fervor in their time because of the significant number of learned men who wrote books about the fraternity, those who sought to join or form initiatory groups based upon the ideas of the Rosicrucian manifestos, and those who used the notion of an invisible brotherhood for political manipulation. As such, it was dangerous at times to be publicly identified with the ideas promulgated in these texts because of the perceived threat to church and state. Rosicrucian sympathizers did not describe themselves as brothers of the Rosy Cross, but publicly professed their Christian religion, as Rosicrucianism was agreeable not only to any denomination of Christianity,1 but other faiths as well. It is also possible to delineate between the original Rosicrucian movement and later Rosicrucian-inspired movements,2 so determining membership in, or direct connection to, any Rosicrucian fraternity before the nineteenth century is difficult at best. This delineation also leads to the recognition of a fundamental etymological issue with the term Rosicrucian – the traits that modern scholars attribute to the Rosicrucian movement(s), were not necessarily termed as such prior to the nineteenth century. It is significant that, like the mythological brothers of the Rosy Cross, these German settlers in Pennsylvania did not describe themselves as Rosicrucian, or their belief as Rosicrucianism. Even today Kelpius’ and his followers are most commonly referred to as Lutheran Pietists,3 an accurate classification without the underlying problem connected with the Rosicrucian label. Nevertheless it is possible to define a set of philosophies, practices, symbolism, traditions, and esoteric currents that are connected with the suspected authors of the manifestos and their sympathizers. Rosicrucian philosophy was professed in the foundational documents. Alchemical symbolism is encoded in the Chemical Wedding;4 Cabalism is the key to understanding the Fama and Confessio5 and gnostic theosophy is a component of all three.6 These traditions and others are intimately connected, and when combined by spiritual seekers in seventeenth century Germany, formed what could be considered as components of Rosicrucianism, or part of the Rosicrucian tradition. Comparing knowledge of this tradition and its lineage with historical documentation, primary source commentary, and academic research allows for a methodical analysis of the subject. Thus the goal of this paper is not to attempt to uncover some direct connection between an invisible Brotherhood of the Rosy Cross or later Rosicrucian inspired fraternity and Johannes Kelpius’ community, known as the Woman in the Wilderness, and Ephrata Cloister, but rather to compare these German settlers’ philosophies and practices to those accepted as part of Rosicrucian tradition. This comparison will confirm that their beliefs and practices were notably akin to those of Rosicrucianism. In analyzing Rosicrucianism to develop a list of defining attributes, several approaches are required. The three foundational texts provide philosophical, theological, and theosophical ideals which form the basis of the movement. Next, the esoteric interpretations in primary source commentaries and the inspired writing and artwork of Rosicrucian sympathizers provide a wealth of knowledge about the inner meanings of the manifestos. Furthermore, scholarly research yields a coherent description of the historical connections between individuals, groups, various Western esoteric philosophies and traditions, and Rosicrucianism. Considered collectively, these sources prove to be fertile ground from which to draw forth an accurate portrayal of the components of Rosicrucianism. The Fama and Confessio also have distinct inner meanings encoded with gematria, a Cabalistic system of determining relations between Hebrew (or Greek) words and phrases based on the numeric values assigned to the letters, so the tradition of Cabala is a key attribute of Rosicrucianism. The seal, mark, and character of the fraternity, “R. C.,” can be interpreted as the Hebrew word referring to “tenderness or compassion”11 and Rose Cross can be interpreted as “Church of the Gnosis” using Greek gematria.12 In addition, despite the exoteric profession of Protestantism in the manifestos, the encoded inner meanings also point to an appreciation of a universal gnosis or state of enlightenment, beyond religion, indicating that Rosicrucianism is akin to gnostic theosophy. 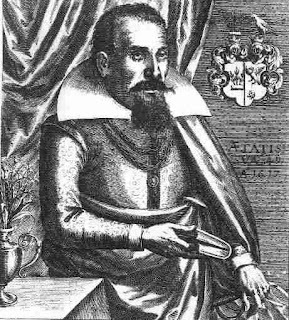 Theosophy is also linked with German mystic Jacob Böhme who published his first book entitled Aurora in 1612, shortly before the Rosicrucian furor began. In Wisdom’s Children: A Christian Esoteric Tradition, Arthur Versluis writes that, “…Böhmean theosophy was closely allied to Rosicrucianism in Germany during the seventeenth and eighteenth centuries, and that it is often difficult or even impossible to separate them. Essentially, both movements have as their basis a very similar Hermetic science, and indeed, share so much symbolism and terminology as to be at times identical.”13 In addition to these attributes, Christian theosophy, Gnosticism, and Hermeticism have a number of further intersection points with Rosicrucianism: (1) the concepts of the fall of man and a return to paradise14, eschatology,15 (2) the use of astrology and astrological correspondences,16(3) the use of symbolic language17 and imagery,18 (4) the practice of meditation towards the goal of sublimation,19 and (5) sacred music20 (i.e. Michael Maier’s Atalanta Fugiens). These combined elements form some of the trademark attributes of the Rosicrucian movement and the basis for comparison with the esoteric currents in early Pennsylvania. It is important to note that some prominent scholars dispute Sachse’s claims regarding Rosicrucianism. These include Arthur Edward Waite in The Brotherhood of the Rosy Cross (1924); Manly P. Hall in his introduction to the Codex Rosae Crucis, D.O.M.A., A Rare & Curious Manuscript of Rosicrucian Interest (1938), and Jeff Bach in Voices of the Turtledoves: The Sacred World of Ephrata (2003). 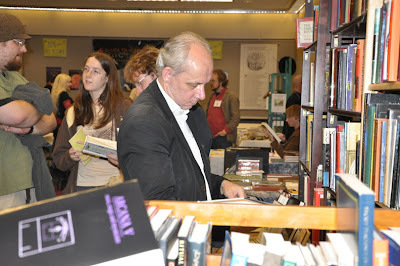 Other sources, including Walter C. Klein’s Johann Conrad Beissel: Mystic and Martinet, 1690-1768 (1942), Elizabeth W. Fisher’s “Prophecies and Revelations: German Cabbalists in Early Pennsylvania” (1985), and Peter C. Erb’s introduction to Johann Conrad Beissel and the Ephrata Community: Mystical and Historical Texts (1985) agree with Sachse’s claims of Rosicrucianism. Other scholars remain neutral on the question; though indicating that the possibility of some connection to the Rosicrucian movement is valid. Arthur Versluis’ Wisdom’s Children: A Christian Esoteric Tradition (1999) and Jan Stryz’s “The Alchemy of the Voice at Ephrata Cloister” (1999) fall into this more impartial category. The scholarly debate on this question also serves as a reminder that to label an individual or group as Rosicrucian is never a simple thing because of the inevitable interpretational conflicts which arise due to the mythology of Rosicrucian fraternity which eventually manifested in the real world. In addition, there is also the underlying etymological issue with the term itself. Scholars may refer to someone as Rosicrucian, or part of the Rosicrucian movement, but before the nineteenth century very few individuals referred to themselves that way. Ultimately, Sachse’s work, as well as all the research by other scholars along similar lines, provides crucial information about the beliefs and practices of these communities. The comparison with Rosicrucian attributes begins with an examination of the background, beliefs, and practices of Johannes Kelpius and the Woman in the Wilderness community. Kelpius was born in 1670 in Denndorf, Germany, graduated university at age 16, was “possessed of a profound religious genius,” and was well-versed in theology, theosophy, and esoteric disciplines.28 As an educated philosopher and Lutheran theologian in seventeenth century Germany, his background was very similar to the suspected authors of the Rosicrucian manifestos. Evidence also shows that one Christopher Friedrich Schlegel, one of Kelpius’ followers, was also the sixth generation of a family which was on the periphery of the Rosicrucian furor in Germany.29 Secondly, Fisher’s research indicates that Kelpius was active in Böhmean theosophical, Pietist, Philadelphian, and Cabalistic circles while living in Germany. In “Prophecies and Revelations: German Cabbalists in Early Pennsylvania,” She states that Kelpius’ “… later writings indicate that the decisive influence on him was mystical theosophy and that he was well acquainted with the Rosicrucian Confessio. [Christian] Knorr von Rosenroth [author of the acclaimed Kabbalah Denudata] probably introduced Kelpius to these studies through the cabbalistic circle in Sulzbach.”30 Kelpius’ community possessed a copy of the D.O.M.A. manuscript.31 In addition, Sachse describes an equal-armed cross within a circle, known by contemporary Rosicrucian groups as a rose cross symbol, which was erected atop the community’s crude observatory.32 As stated previously, Cabala and eschatological gnostic theosophy are hallmarks of the Rosicrucian movement, often associated with mystical symbolic artwork or diagrams designed for contemplation. With regard to the multiple esoteric and secret groups with which he associated, Kelpius “regarded the different strands within this web of reformers as many manifestations of the same movement.”33 In a letter he wrote in 1699, Kelpius describes this movement as “conscientious objectors to the corruptions existing in organized theologies.”34 This desire for reformation combined with utopian ideas, led Kelpius and others to form a “Chapter of Perfection” to travel to the New World, analogous to the Rosicrucian traits of secret organizations and the proclivity for traveling to foreign lands. Sachse writes that, “The men who composed this Chapter of Mystics were not only Pietists in the accepted sense of the word, but they were also a true Theosophical (Rosicrucian) Community, a branch of that ancient and mystical brotherhood who studied and practiced the Kabbalah …”35 In addition to Cabala and gnostic theosophy, astrology also played an important role for Kelpius and his followers, not only in the manner typical for theosophists, but also as a method to track spiritual cycles and determine the time of the apocalypse.36 This proclivity for the apocalypse of the Book of Revelation in their sermons, and because they chose no name for their own group, caused other settlers to eventually name the community “the woman in the wilderness.”37 “The wilderness was for Kelpius a symbol that knit together several facets of this theology, eschatology, and devotional discipline.”38 Kelpius group’s concern with eschatology and millenarianism also shows a similarity with that attribute of the Rosicrucian movement. Next, “The Kelpius settlement … said that they belonged to no denomination,” and this fact “underscores their refusal to participate in sectarianism … [because for them] religion was a matter of the heart’s illumination, not adherence to a name,”39 further illustrating their devotion to a mystical gnostic theosophy. This reluctance to associate with a specific denomination is analogous to the attribute of Rosicrucianism being acceptable to all denominations. This community was monastic in nature and practiced solitude, meditative contemplation, and asceticism, all recognized as trademarks of the Rosicrucian tradition. Finally, it is alleged that Kelpius himself was a “master alchemist” and “… was known to practice alchemy, as did some other elders of the Wissahickon community, and he was reputed to have a laboratory and alchemical library. He and the other elders were said to practice the Hermetic science on certain nights when the stars and planets were in proper alignment …”40 The practice of Hermetic alchemy is most definitely linked to Rosicrucianism through the symbolism in the Chemical Wedding and the subsequent writings of Rosicrucian sympathizers. In summary, as a Lutheran theologian from seventeenth century Germany, Kelpius’ background and the locale he hailed from was similar to that of the suspected authors of the Rosicrucian texts. The chapter of which he was a member was a secret society (before they left Europe) desiring a reformation of existing theologies. They were involved with the esoteric traditions of theosophy, Gnosticism, Hermeticism, Cabala, astrology, eschatology, and alchemy. Kelpius and his followers traveled to the wilderness to establish a utopian theosophical community without sectarianism and spent considerable time in meditation and devotion. When seen in this context, Kelpius and his followers’ backgrounds, philosophies, and traditions are remarkably similar to those accepted as traits of Rosicrucianism. The analysis of the background, beliefs, practices, and actions of Johann Conrad Beissel and Ephrata Cloister yields comparable results with those of Kelpius and his community. In fact, it is useful to view Ephrata in the context of a continuation of the community founded by Kelpius in 1694. One reason is that Beissel intended to join Kelpius’ community when he left Germany in 1720, not knowing that Kelpius had already passed. Another reason is that some of the men who were Kelpius’ followers joined the monastic group at Ephrata. Therefore, we find evidence of the same background and set of philosophies and practices carried forward to Ephrata as those of the Kelpius community itemized previously. Born in Baden, Germany in 1690, Beissel’s contacts with Lutheran Pietist, Böhmean theosophical, Philadelphian, and Cabalistic groups in Heidelberg are well documented. Beissel’s A Dissertation on Man’s Fall (1765), published shortly before his death, documented his mystical and gnostic theosophy.41 His writing also conveyed a “… distaste for steeple house Christianity… and [he] despised the subsidized churches of his native land.”42 Beissel traveled to the New World and eventually became the leader of a new settlement named Ephrata in 1735. Meditation practice, monasticism (both male and female), and prayer were hallmarks of daily life at Ephrata. The music of the Ephrata choir has been described as “sacred” and “alchemical.”43 In 1738, the monastic men of Ephrata built a temple and formed an initiatory fraternity named the Zionitic Brotherhood. They engaged in meditation, prayer, alchemy, esoteric Freemasonry, Cabala, theurgy (angelic magic), and astrology.44 The women of the cloister formed The Spiritual Order of the Roses of Sharon.45 Finally, Ephrata served as a hospital after the Battle of Brandywine during the Revolutionary War. Even though they were pacifists, the brothers and sisters cared for the American wounded and sick.46 Their behavior was analogous to the Rosicrucian agreement which professed only to heal for free and could be construed as support for societal reformation by way of the Revolution. Consequently, the beliefs, practices, and actions of Beissel and his followers at Ephrata bear a remarkable similarity to those accepted as part of the Rosicrucian tradition. Ouroboros Press and Three Hands Press are proud to announce a launch party for the Maiden Edition of CLAVIS, Journal of the Art Magical. Join us to celebrate the arrival of this long-anticipated occult journal featuring text and image by a cast of international contributors. 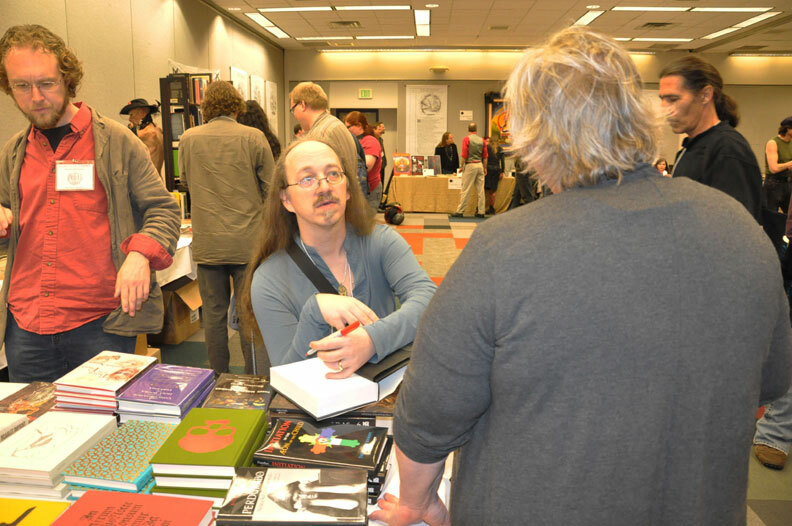 The event is appropriately situated in the Emerald City of Seattle, long a center of occult traditions and fine book arts. Artist, typographer, and letterpress printer Joseph Uccello, whose work appears in CLAVIS 1, will give a brief lecture entitled Treading the Codex Naturae: Esoteric Ideas on Book Design and Printing. The talk will engage the subject of printing and book design, from the point of view of an explorer of the esoteric and arcane. Consideration will be taken of earlier eras of occult and alchemical book design, contrasted with thoughts on contemporary book production, and the search for the modern arcane. Joseph will also be presenting a small exhibition of his pen and ink brushwork, as well as offering limited edition letterpress prints of his work for sale. In addition, a number of artists whose work appears in CLAVIS 1 will have prints and original art for sale, including Benjamin Vierling, Rima Staines, and Hagen von Tulien. Co-editors Daniel A. Schulke and William Kiesel will also give a brief talk on The Book of Soyga, the first English translation of which will soon be published by Clavis Editions. Our featured musical guest will be Kora player Chet Korpt. Refreshments will be served. Copies of the new journal will be available for sale, as will selected titles from Ouroboros Press and Three Hands Press, including rarities. Five remaining copies of Picatrix Volume One were discovered during some reorganizing at the Ouroboros Press publishing studio, and we decided to have Ars Obscura bind them together with copies of Volume Two, thus making these the only 5 copies bound as a single volume. One of these copies will remain in the Ouroboros Press research library, and the other four are being offered here while they last. 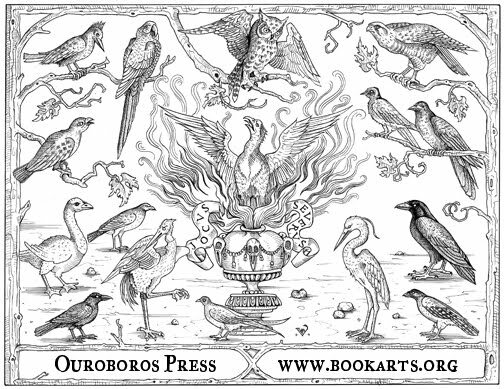 Large silk screen poster designed for the 4th annual Esoteric Book Conference by Patricia Cram. These were printed in limited numbers and will be available at the EBC 15-16 September. Recently, one of our readers contacted us a few weeks after receiving a vellum copy of the Theatrum Chemicum Britannicum. The book had arrived in the post just fine, but the covers were a bit bowed and the vellum appeared to be somewhat mottled. I assured him: these are the features of a handmade book still curing after being sent directly from the Ars Obscura Bookbindery upon completion. The binder will always place a slip of paper in the front of each book, stating that weight should be placed on the book for a period of 3 weeks in order for the moisture of the binding to cure while flat. With the scent of the new binding still fresh in the air, the bibliophile placed the book under weight, which caused the boards to return to their straightened position. I have included here photographs of other vellum bindings from my personal library, in which one may see that such bowing is common for books bound according to old-world methods. Personally, I find that this organic quality lends itself to the charm of renaissance aesthetics. The same reader later sent another conveying his pleasure with the content of the book, but noted that it was the binding that had immediately earned his admiration. The comment then led to an inquiry about where one could learn more about bookbinding. Many years ago, during an apprenticeship under Master Bookbinder Joel Radcliffe, I asked the same question and was urged to read Edith Diehl’s Bookbinding: Its Background and Technique. It is a wonderful resource in that the first part is the history of bookbinding, discussing binding styles and individual binders throughout history [up to the 1940s], and the second part carries descriptive text on how to execute the bindings according to traditional techniques. Included throughout are many illustrations showing the different binding styles as well as very clear and detailed instructional drawings that demonstrate the various binding processes. Vellum binding is described in detail among the other formats, and there is a useful glossary describing both book and bookbinding terminology. “In spite of any extra warping papers pasted on the inside of the boards of a vellum-covered book, the covers tend to curl back in the American climate, and all books bound in vellum must always be kept stacked closely on shelves or weighted, when not in use.” – Edith Diehl, Bookbinding: Its Background and Technique. The book is available as a Dover reprint, though is was originally published as a two volume set. Book launch in two cities. The Theatrum Chemicum Britannicum is an important collection of English Alchemical poetry compiled by Elias Ashmole in 1652. Gathering together many manuscripts previously unpublished, Ashmole made extensive and centuries-spanning alchemical knowledge available to English readers. The Ouroboros Press edition has been four years in the making and has included the work of many hands in order to manifest a new corrected edition based on Ashmole’s original errata materials. The type has been completely re-set in a beautifully designed text while still holding to the sensibilities of a renaissance aesthetic. 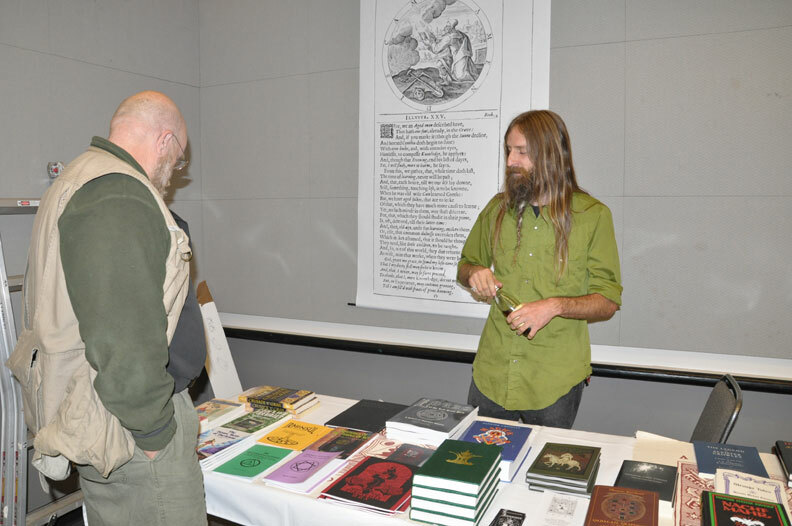 Ouroboros Press director William Kiesel will give a brief talk about Elias Ashmole’s alchemical classic and discuss its relevance in book arts, literary, and historical contexts. Copies of the new book will be available for sale and one copy of the Golden Chain of Homer broadside will be given gratis to people who purchase the book at the launch. In addition to a brief talk about the TCB by William Kiesel, there will also be a set of live music performed by King Dude at 9pm. All binding styles; cloth, leather and vellum editions will begin shipping March 28. Please note that as with all communication with the press, readers should direct messages via the email on our website contact page. As we have many friends on Social Media sites like Facebook, messages through that service are often lost amid the many invitations, announcements and other spam not relevant to Ouroboros Press. As our message boxes on social media sites are filled with such stuff, we only answer messages that are directed to our official publishing email on our website. Thank you for your understanding. Photographs by Carlos Melgoza of Anima Nocturna. In 2009 Ouroboros Press publisher William Kiesel founded the Esoteric Book Conference to provided a venue for scholars and contemporary exponents of esotericism to give talks, show esoteric art and most importantly hold a book fair where new and antiquarian books in the field could be showcased. 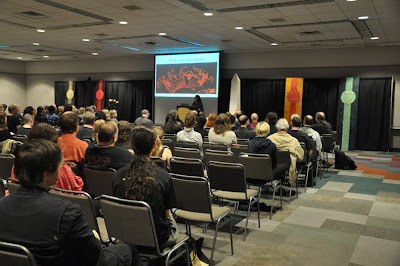 The 2nd annual conference was a great success and it has now secured itself as an annual international event. The photographs were taken by Carlos Melgoza and the complete set may be viewed at the Anima Nocturna blog. 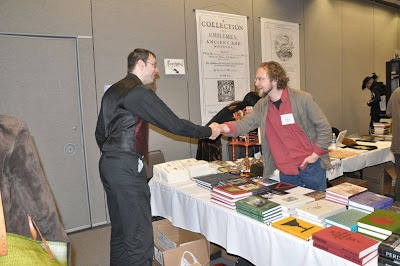 Ouroboros Press Fine Esoteric Books for Libraries & Laboratories. 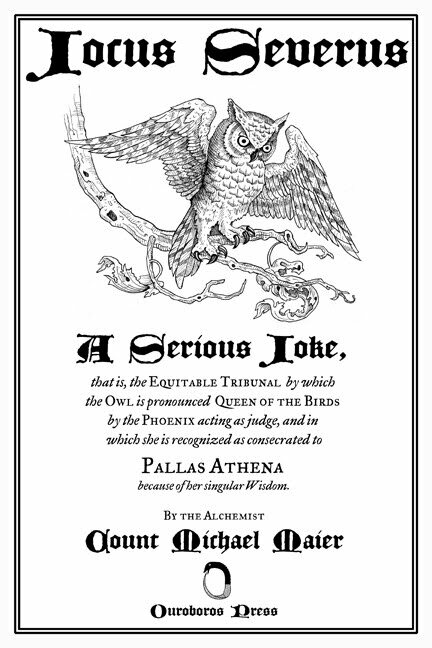 Jocus Severus was originally published in 1617 by Count Michael Maier and is here rendered into the English tongue from the Latin text by the remarkably able translator Darius Klein. Like his work on Giordano Bruno’s Cantus Circaeus, this is the First English Translation. 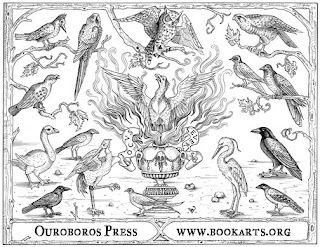 In addition to the new translation, the Ouroboros Press edition of Jocus Severus distinguishes itself by employing new emblematic illustration work by Benjamin A. Vierling, who in keeping with our publishing style has produced fine illustrative ornaments and a fold-out plate depicting the aviary creatures of the text. These graphic elements complement the typographical details with an effect befitting a piece of fine Renaissance book art. Copies may be reserved by pre-order on a first-come-first served basis. All pre-orders include free shipping worldwide. For centuries musicians have tapped into mysticism, magic and alchemy, embracing ritual, spell, incantation and prayer, and experimenting with esoteric approaches to harmony, pitch and vibration. In recent decades, avant-garde musicians have rediscovered these overlaps, as occultism has reinvented itself–through Buddhist and other Asian influences, Thelema and Chaos Magic–to accommodate cultural strains from psychedelica through Punk and Industrial music. 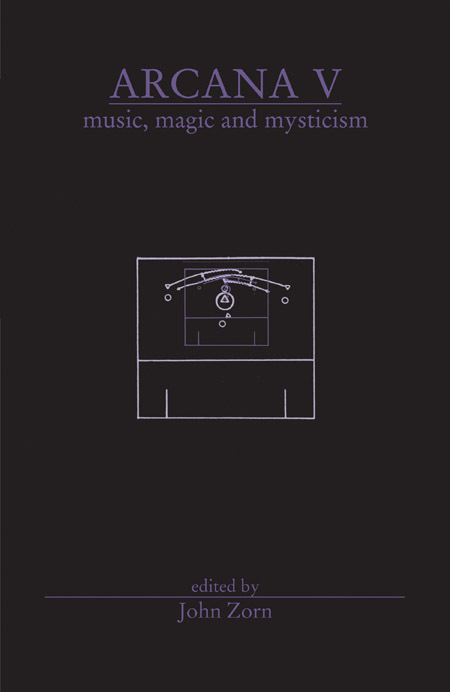 This special edition of John Zorn’s much acclaimed Arcana series focuses on the magical aspects of the act of making music. Neither historical overview nor musicological study, it illuminates the sympathies between music and the esoteric tradition with the help of today’s finest experimental musicians and occultists. Among these are William Breeze, Gavin Bryars, Steve Coleman, Alvin Curran, Frank Denyer, Jeremy Folgel, Fred Frith, Sharon Gannon, Peter Garland, Milford Graves, Larkin Grimm, Tim Hodgkinson, Jerry Hunt, Eyvind Kang, Jessika Kenney, William Kiesel, Yusef Lateef, Frank London, Dary John Mizelle, Meredith Monk, Tisziji Munoz, Mark Nauseef, Pauline Oliveros, Genesis P-Orridge, Terry Riley, Adam Rudolph, Trey Spruance, David Toop, Greg Wall, Peter Lamborn Wilson and Z’ev. 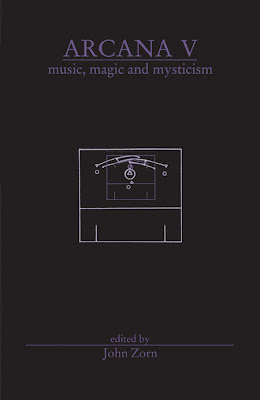 Ouroboros Press publisher William Kiesel has an article in this integral book entitled ‘Musings on the Hermetic Lyre’. Kiesel gave a recent interview on the Thelema Now podcast where he talks about the book. Large Octavo. Sewn softcover volume. Ouroboros Press celebrates the Equinox with Viatorium Press by issuing the TABULA LUNARIUM being a broadside of the Table of the 28 Lunar Mansions with cognate references. Compiled by Ouroboros Press and printed letterpress on dampened paper by artist and printer Joseph Uccello on old world equipment. 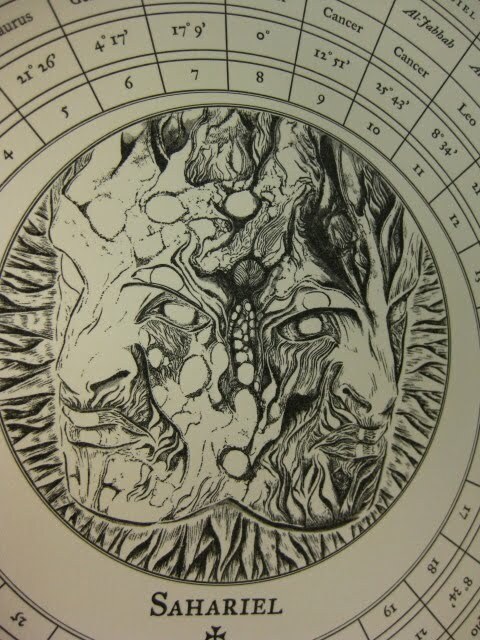 This printed table spearheads forthcoming collaborative work between the two presses on a grimoire of lunar praxis. Joseph sizing up one of the prints which rests upon the Vandercook press which gave birth to it. The imprint of the ink in the paper is distinctive due to the dampening of the paper prior to printing. Several recently printed pieces laid out to dry. The Lunar Mansions are arcs of 12 degrees, 51 minutes, which divide the ecliptic up into 28 stations and mark the motions of the moon during a lunar month. These mansions comprise the Lunar Zodiac used in ancient times by Arab, Indian and Chinese astrologers. Each of these systems had their own names for the mansions which are; Manazil [Arabic] – Nakshatras [Indian] – Sieu [Chinese]. There are very slight variations between these 3 systems, and these are cleared up by the use of fiducials [from the latin, faith – fixed points in the sky – often fixed stars, which are used as a basis of comparative measurement]. 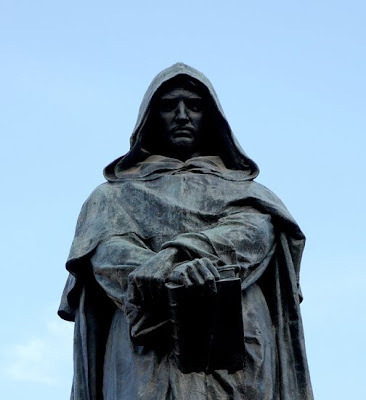 It was the Arabic system, which had the greatest influence on the West via the Moorish-Spanish lore exchange and the Hermeticism of magicians such as Giordano Bruno and Marsilio Ficino. Of course one may find these mansions among the Three Books of Occult Philosophy of Agrippa, which is where Francis Barrett took them for use in his book the Magus. Each mansion has its individual influence, which is transmitted to sublunar creatures by the Moon. Magical images, angels, metals or stones, suffumigations or incenses were among the correspondences applied to them. 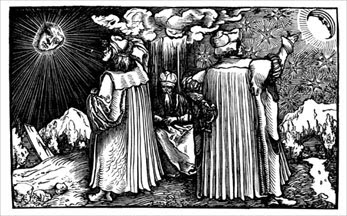 In the astrological magic found among grimoires such as the PICATRIX, the idea was to invoke the angel of the mansion when the moon was in the correct station while burning the incense and visualizing the magical image in order to create various talismans or add specific lunar influence to other magical workings. In this same manner one may request the knowledge over those things which the angel of the mansion has jurisdiction. The Tabula Lunarium is in the tradition of magical calendars wherein various systems of correspondence in the esoteric tradition were delineated in visually pleasing and ingenious printed broadsides. In addition to the name and number of each mansion, the table also includes the zodiacal sign and degree of occurrence as well as featuring the eidolon of Sahariel the archangel who teaches about the lunar mansions. Simultaneously a practical and magical piece of ephemera. Measuring 12.5 x 19 inches the Table is printed letterpress on dampened Rives Heavyweight paper in an edition of 100 copies only. We also have letterpress printed broadsides of the Emerald Tablet of Hermes. Please join esoteric publisher William Kiesel for coffee and a presentation on Wunderkammern and Alchemy in the appropriately wonderful and odd surroundings of Ancient Grounds Cafe and art gallery. 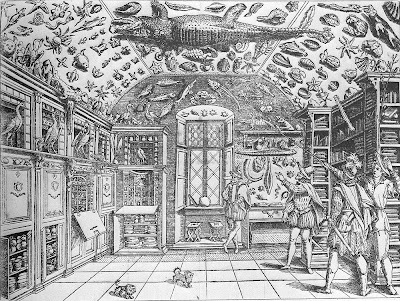 The Curiosity Cabinet was the forerunner of the contemporary museum. But before public museums existed worldly collections took the form of the Kunstkammer, or art cabinet that was often the privilege of royalty alone. During the Renaissance such collections were filled with natuaralia, artificialia, scientific devices and other art treasures. William Kiesel will give a brief visual presentation displaying some early examples of Curiosity Cabinets and discuss the similarities they share with alchemical laboratories. The slide presentation will take place in one of Seattle’s finest Curiosity Cabinets; Ancient Grounds, where many wonderful objects from around the world, including tribal art, mineral specimens, Japanese and Native American masks, totem poles, intricate architectural carvings, kimonos, articulated skeletons, headdresses and other displays may be viewed while sipping excellent espresso or other beverage before during and after the talk. Event capacity: 75 – 95 sitting & standing. If you would like to R.S.V.P. click here. 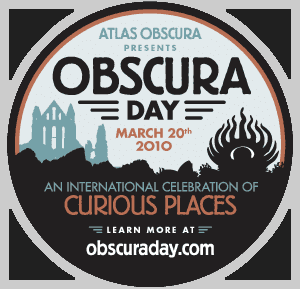 This event is in cooperation with Atlas Obscura and is one drawer in their international showcase of Obscura Day. 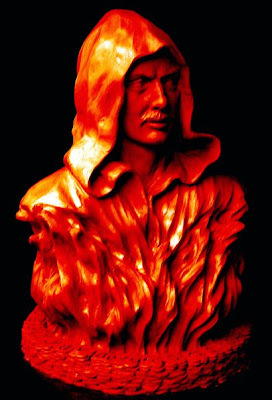 There can be no doubt as to the importance Giordano Bruno‘s life and writings had on the western esoteric tradition and the history of scientific thought. With this in mind, Ouroboros Press is pleased to be issuing the first English translation of Giordano Bruno’s Cantus Circaeus, rendered from the original Latin by Darius Klein. Originally printed in Paris 1582, the eloquence of Klein’s English translation is fitting for the words of the Nolan. From Giordano Bruno; Cantus Circaeus. Francis A. Yates; Giordano and the Hermetic Tradition. 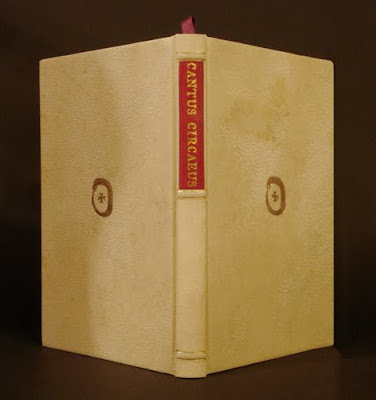 Heretic Vellum Edition: Small octavo, handbound in full vellum over boards with raised cords and leather spine label. Gilt stamped title and device. Marbled endsheets and silk ribbon bookmark. 144 pages, illustrated with woodcuts. Limited to 300 copies only. Standard Edition: Small octavo, full black cloth over boards with gilt title and device. In a printed dust jacket. 144 pages. Illustrated with woodcuts. Please include shipping with your order. $6.00 in the US or $12.00 abroad for up to 2 books. Please allow 2-3 weeks for delivery [handbound editions, allow 4-6 weeks]. 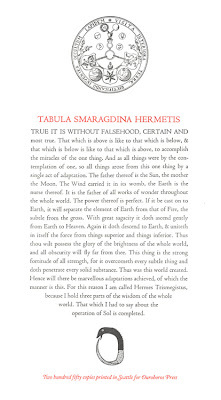 Tabula Smaragdina Hermetis, perhaps better known as the the Emerald Tablet of Hermes, is the shortest and yet most refered to text in the whole of the alchemical corpus. Supposed to have been found engraved upon an Emerald, this hermetic document has been beautifully typeset in Centaur [a font designed by Bruce Rogers] and printed letterpress on fine Arches paperstock in two colors. An alchemical emblem crowns the top of the broadside and features the enigmatic acrostic V.I.T.R.I.O.L., which was a substance used to pull metals out of hard stone by early metallurgists. The Latin translates as Visit the interior of the earth and through rectification you will find the hidden stone meant to point the way to the Philosopher’s Stone. Limited to 250 copies only this broadside is 13 x 18 inches and is suitable for framing. Let the words of Hermes Trismegistus adorn your library or laboratory. $25.00 postpaid, Ordering Instructions. The release party for Picatrix Volume Two was held at the Rodriguez Guerra Art Studio in Seattle’s historic Pioneer Square district and was an enjoyable and successful affair. Ouroboros Press publisher, William J. Kiesel gave a brief talk about the importance of the text in the Western Esoteric Tradition and provided anecdotes about historic figures who were influenced thereby. 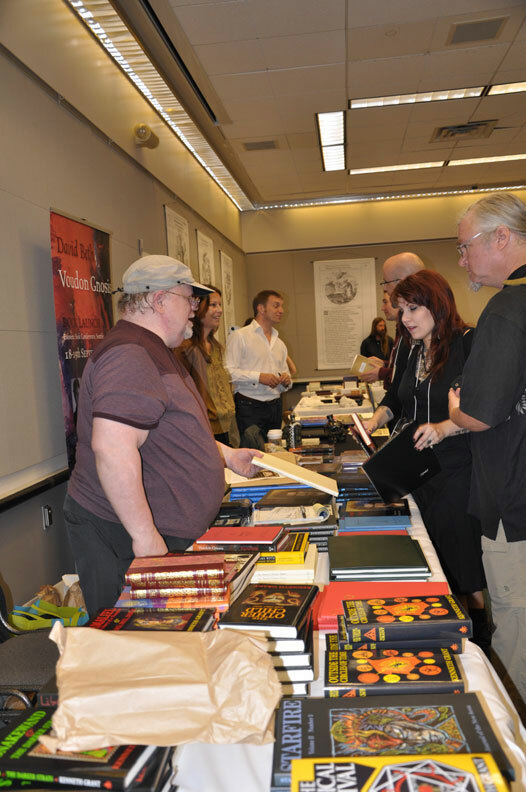 The event was well attended by a wide variety of locals and many out-of-state guests. William J. Kiesel and astrologer Austin Coppock a.k.a., Baron Samadhi Coppockalypse. Speacial thanks to Carlos Melgoza of Anima Nocturna for the photography. The Goal of the Wise Complete! Ouroboros Press is very pleased to announce that Volume Two of the Picatrix is now complete. We have received many words of encouragement and praise from our readers during this project and we thank you all for your kindness and interest. 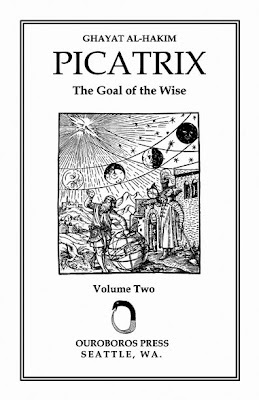 Picatrix Volume Two contains the 3rd and 4th books of Ghayat Al-Hakim and will complete the English translation. It is a larger book than volume one and contains much in the way of the practical working of astral and talismanic magic. Planetary and Zodiacal magic and full instructions for invoking the related spirits are provided along with all the requisite materials needed; stones, plants, inks, colors, incenses, talismans and the invocations. In addition to this are many anecdotes relating to Arabic and pre-Islamic magical lore, including the writings of Ibn Wahshija, the Nabataeans, Sabians, Chaldeans and Assyrians. Of particular note is the magical plant and mineral lore from the Nabataean Agriculture, which portray ancient practices of pagan Iraq. The influence of the Picatrix can be seen in several texts of well-known authors of the western esoteric tradition, including Ficino, Mirandola, Abano and Agrippa, whose works have played a major role of forming contemporary manifestations of the esoteric tradition today. Full black goat leather, Hand-bound with raised spine-bands and gilt titles, silk ribbon bookmark and marbled endsheets, from the fine binders at Ars Obscura Bookbinding. Full cloth with gilt spine title and printed dust jacket. 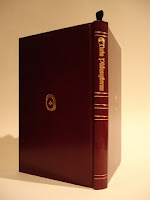 A very limited number of copies of volume one were issued in burgundy leather and slipcases. If you own one of these copies you may contact us if you would like a copy of volume two to match. We are only issuing these to owners of the original bindings. This is also the case for Vellum copies. Contact us for details. We wrap our packages securely for safe shipping. Domestic Shipping within the US is $6.00 for up to two books. International Shipping is $12.00 for up to two books. Bookshops: We offer standard trade discounts on the Trade Cloth editions only. Contact us for details on shipping. Comments Off on The Goal of the Wise Complete! 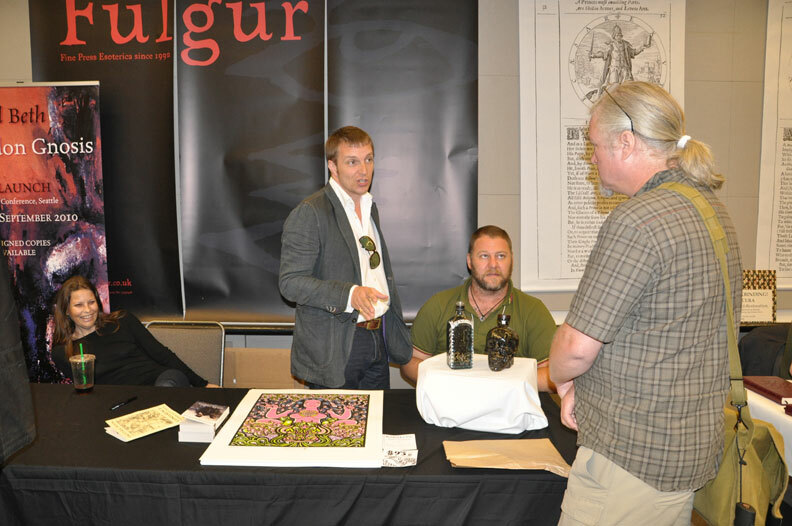 Fulgur Limited and William Kiesel of Ouroboros Press – London 2008. 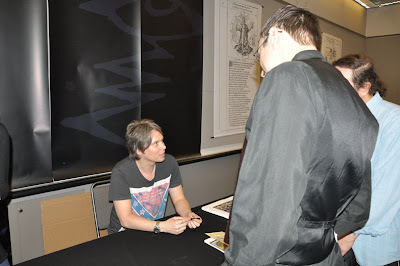 Robert was kind enough to meet with us and talk about the esoteric publishing industry [small world that it is]. The latest title about to emerge from Fulgur is The Valley of Fear and there will be a book release party at Treadwells Bookshop in Convent Garden, London July 15. Treadwells is truly a wonderful shop and the proprietress Christina is a jewel of a person who not only wields ample knowledge about esoteric books but also is an excellent hostess. Despite the effects of jetlag and a technical snafu the night of the talk on Magic Circles, it went off well and was well attended by London’s occult literati. 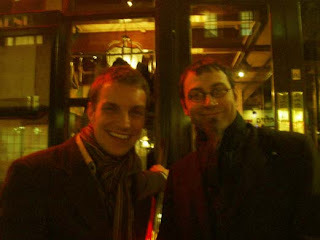 Treadwells is certainly a destination in London, drop in and patronize them while there. Oh, I’d also like to mention that I found it intriguing that Nick Pelling, a Voynich Manuscript researcher, attended my talk in London. You can see his comments about the talk at Voynich News. Meanwhile stops were made in Glastonbury [Labyrinth Books and Courthouse Books were quite friendly to us] as well as Amsterdam where the Conference Emblems, Magic and Hidden Knowledge was held at the University of Amsterdam. This was a full day of talks followed by a fascinating social night out on the city of canals. No trip to Amsterdam would be complete without a visit to the Bibliotheca Philosophica Hermetica, where we consulted several alchemical works. 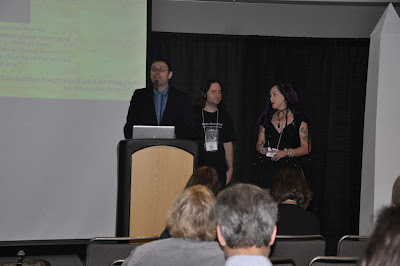 Ouroboros Press will be publishing a book as a result of the conference sometime in 2009. We will update you when details are solidified. The Deluxe Leather edition of Turba Philosophorum, hand-bound by Ars Obscura Bookbinding. Full burgundy leather with gilt title and Ouroboros device to front and rear boards. French marbled endsheets and silk ribbon bookmark. The Crowd of Philosophers in style. $135.00 + shipping. 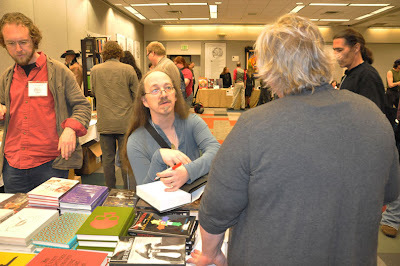 William Kiesel, the publisher and editor of Ouroboros Press, will be giving two talks in the coming weeks. The first will be at Treadwells Bookshop in London [Covent Garden] March 19th and the second will be at the University of Amsterdam on March 25 as part of the Conference “Emblems, Magic, and Hidden Knowledge” along with several other scholars of Western Esotericism. The same talk will be given at both events [see description below]. 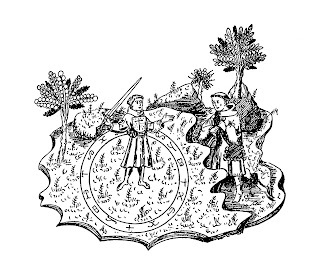 For almost a thousand years, magic circles have been depicted in popular books of magic and witchcraft, as well as in high magic grimoires such as the Clavicula Salomonis Regis or Liber Juratus. Tonight’s talk will explore the varieties, forms and functions of “the circle of arte” in this long tradition. Our speaker will draw upon the evidence from historical texts and manuscripts: illustrations, sketches, descriptions, instructions, and ritual rubrics from grimoires. He will also consider the circle’s role in providing authority and protection to the operator, and tell us about its uses in such activities as divination and treasure finding. See what some of the oddest and rarest magical grimoires say about “the Circle of Arte”, and you will never see it quite the same way again. William Kiesel is the publisher and editor of Ouroboros Press. He works with translators of Arabic, Latin, German and Romanian to provide fine and deluxe editions of rare magical texts to the English-speaking world, most notably grimoires and alchemical works. Of grimoires, he is currently working on a second volume of the Picatrix, and has already published the Heptameron and the first volume of the Picatrix. He lives in the United States and is speaking at Treadwell’s during a brief visit to London. On March 25, a conference on “Emblems, Magic, and Hidden Knowledge” will be held for students as well as independent and established scholars, in collaboration with the department History of Hermetic Philosophy (GHF, Religious Studies) of the University of Amsterdam. Particular emphasis will lie on the role of imagery and emblems in magic and alchemy, and in pursuits and conceptions of (hidden) knowledge; however, questions related more generally to the study of Western esotericism and its methodology will also be addressed.